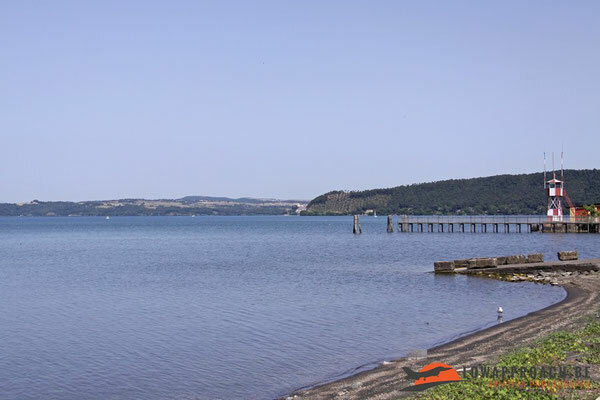 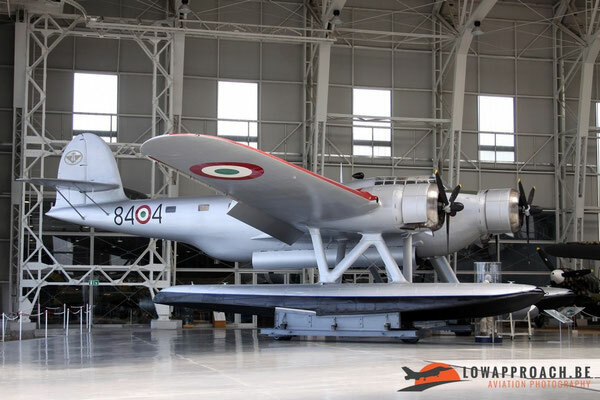 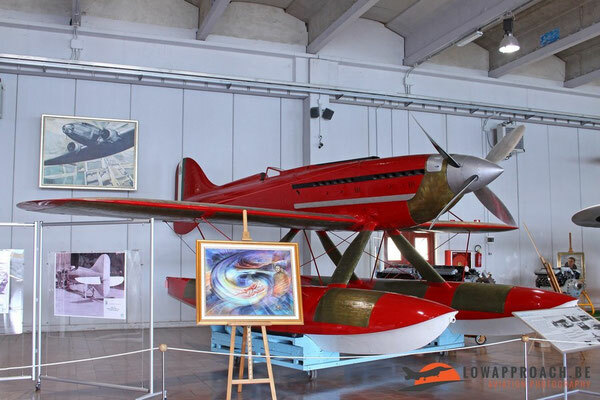 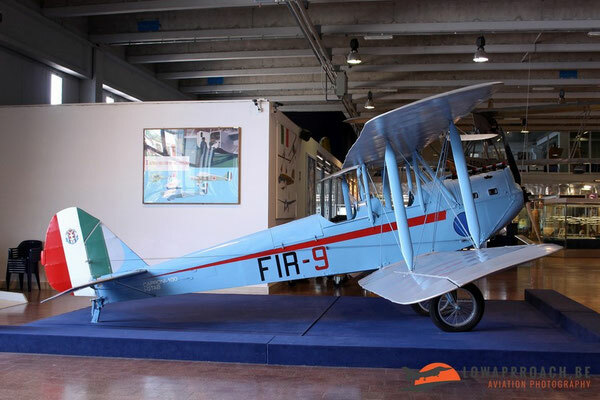 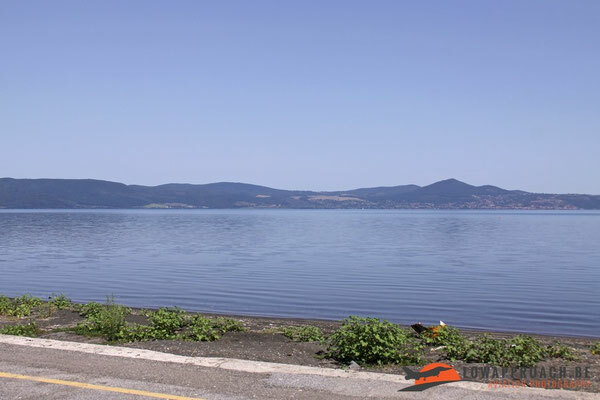 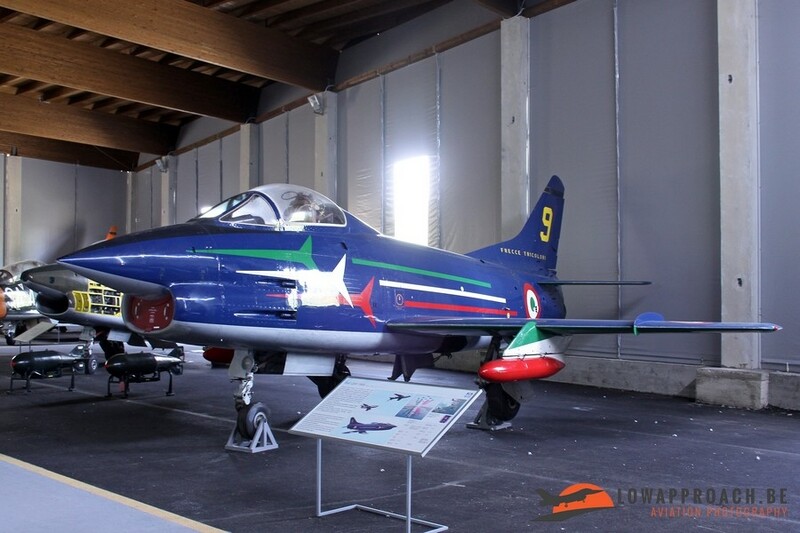 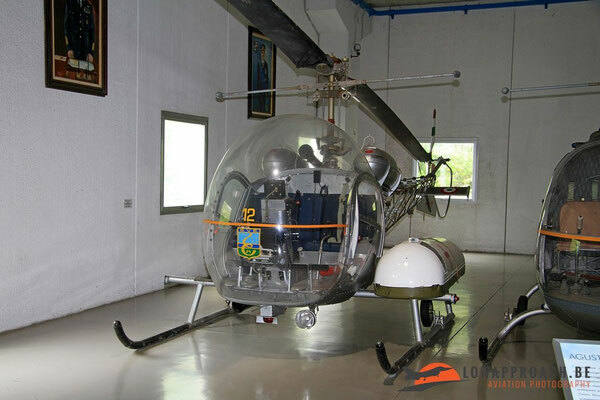 The museum of the Aeronautica Militare Italiana, the Italian Air Force, is located in the old seaplane base located on the shores of Lago di Bracciano in the village of Vigna di Valle. 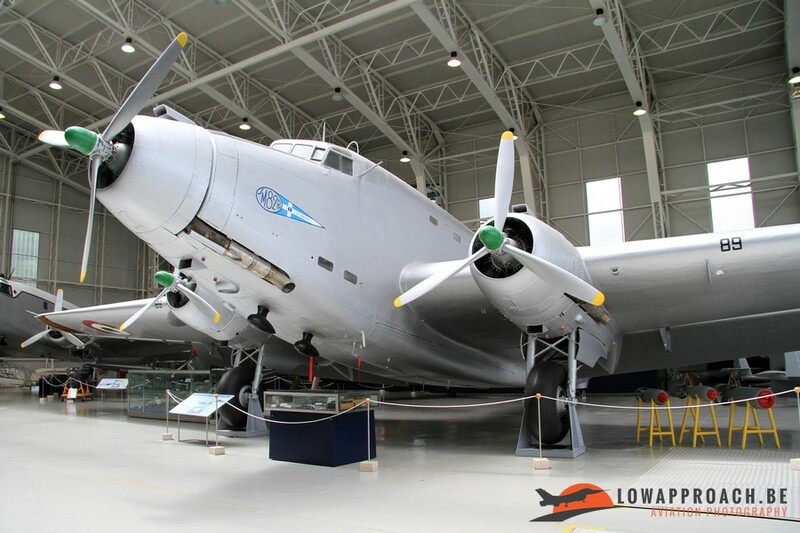 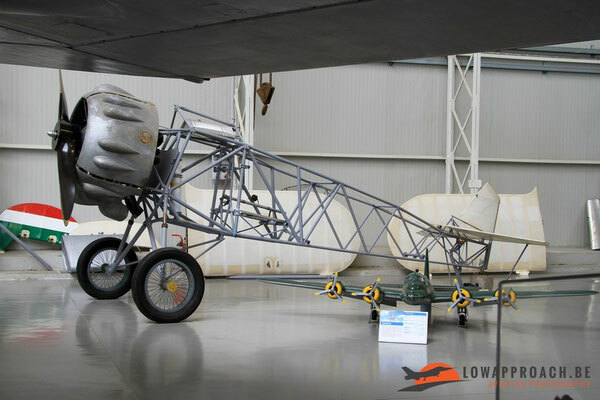 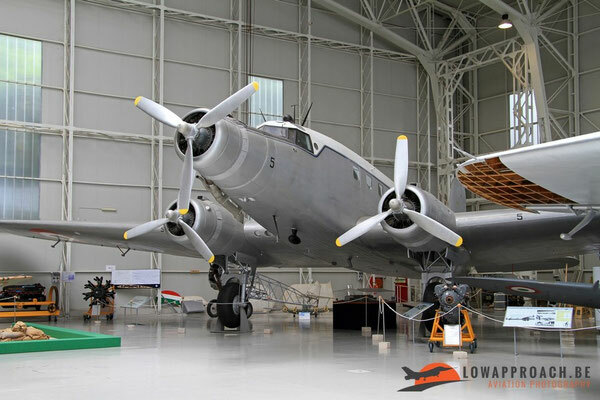 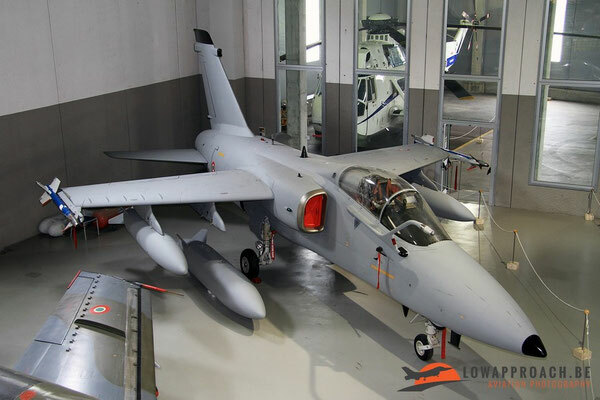 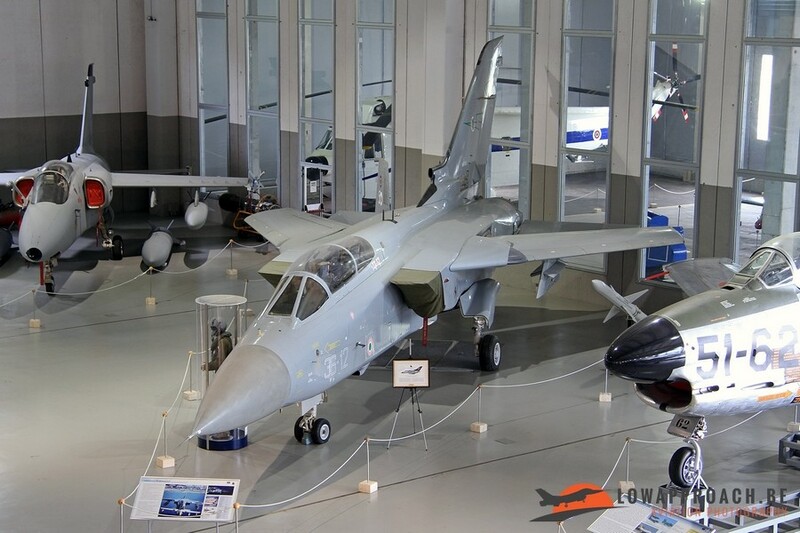 The collection is housed in four large hangars covering a total area of 13000 square meters, making it one of the largest aviation museums in Europe. The first hangar, Hangar Troster, deals with the early years of aviation in Italy and holds quite a large collection of Original aircraft from that period. 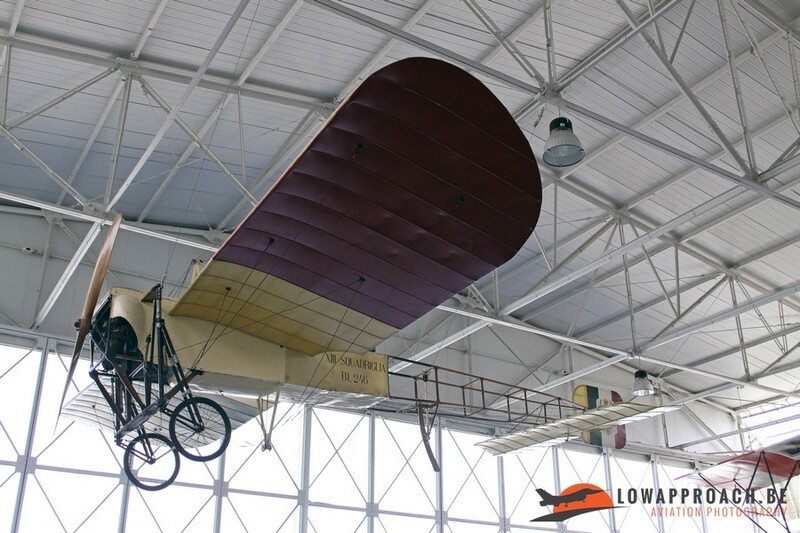 Oldest aircraft in the collection is a Blériot XI-2, one of the rare originals of this type in the world. The period of the First World War is illustrated by a couple of Spad S.VII, flown by two Italian fighter aces. 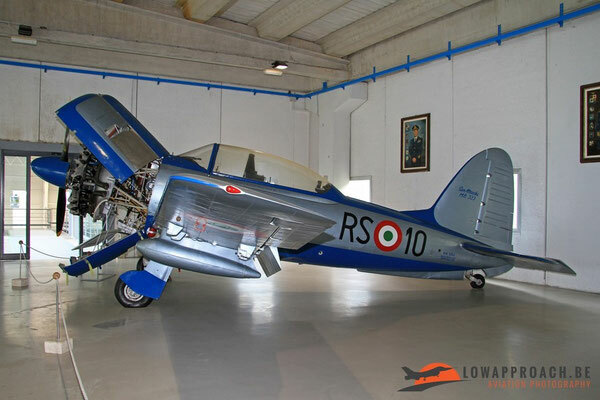 The oldest (S-153) was the personal aircraft of Fulco Ruffo di Calabria, father of Queen Paola of Belgium, who scored 20 victories. 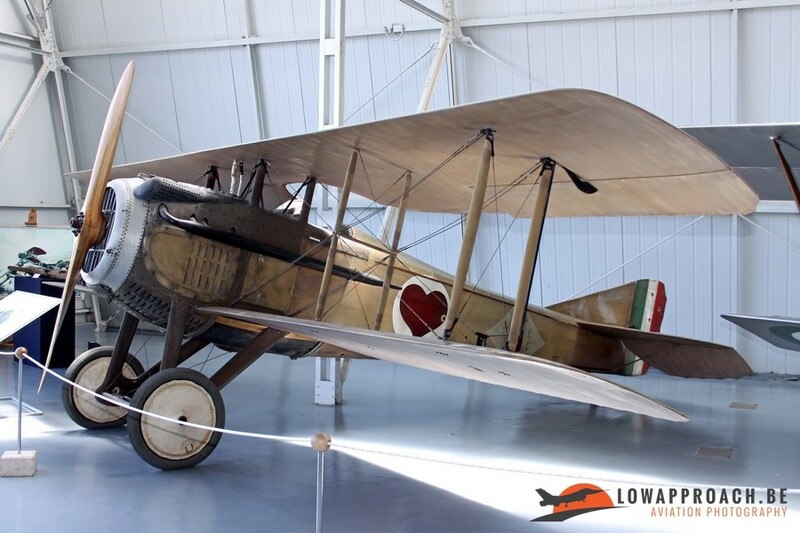 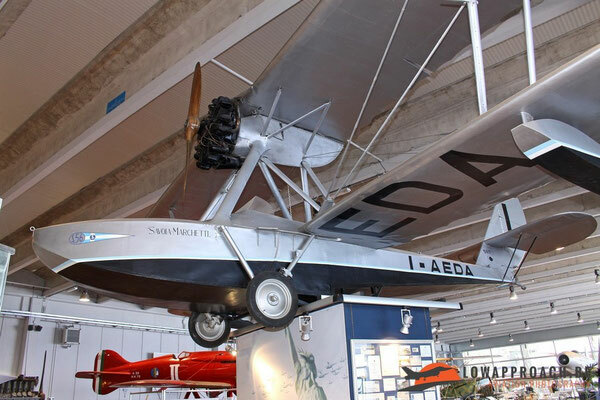 This aircraft is the oldest Spad in existence in the world, it was build in September 1916. 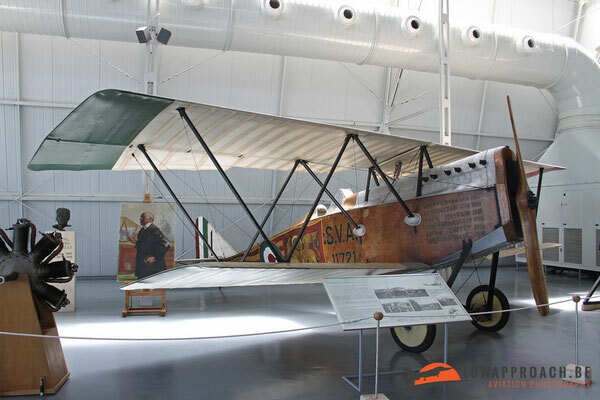 The second Spad, S-1383), was the aircraft of Ernesto Cabruna. 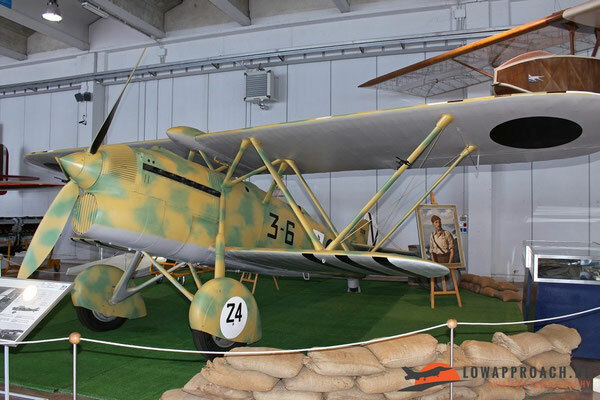 This aircraft still shows some of the round patches placed on the fabric of the fuselage to cover the bullet holes received durian aerial combat. 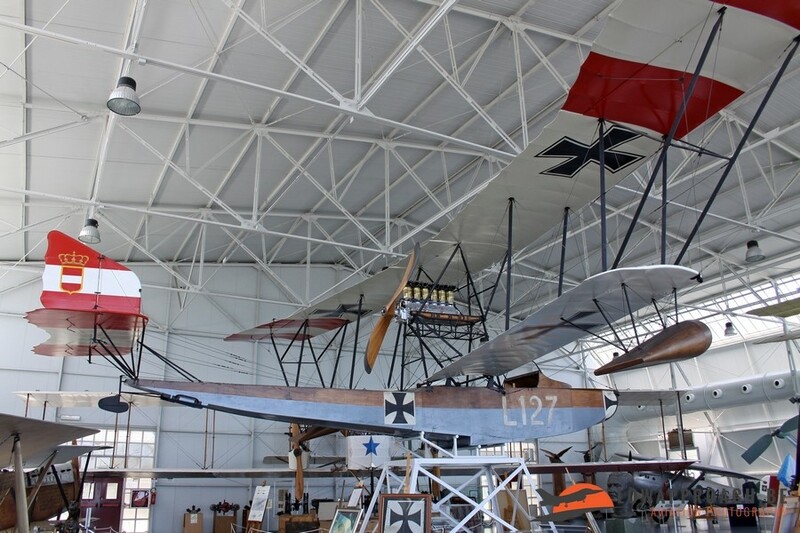 Other aircraft from this period on display are a Hanriot HD.1, a Lohner L seaplane, Ansaldo SVA.5 and Ansaldo AC2. 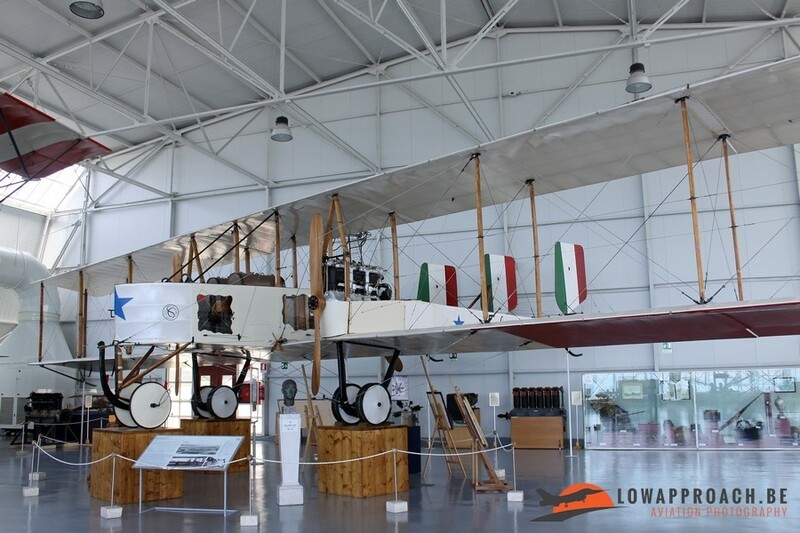 The largest aircraft on display is a Caproni Ca3 three-engined bomber from 1917. 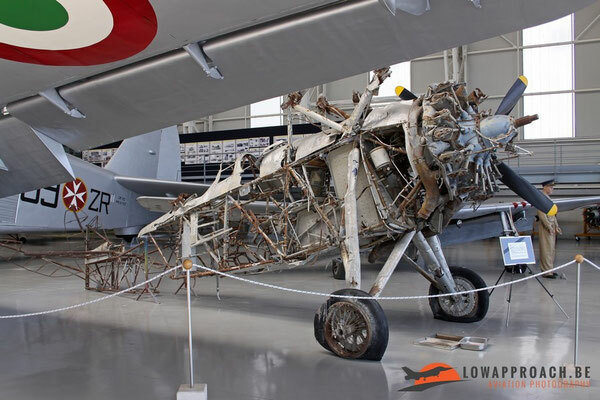 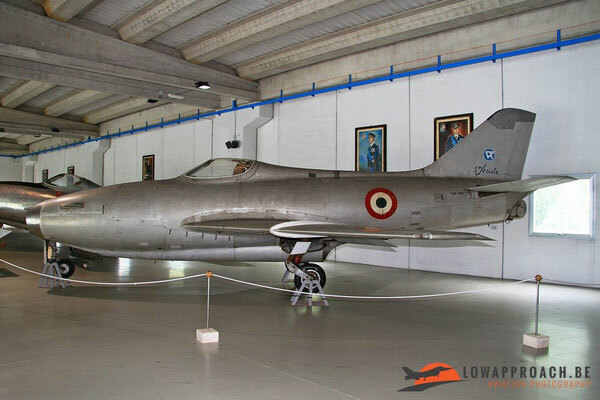 After the war it was bought by its former pilot, Lieutenant Casimiro Buttino, who kept it until 1959 when he sold it back to the Italian Air Force. The period between the First and Second World War is covered in the second hangar, Hangar Velo. Centerpiece of this exhibition are three Ferrari-red Macchi seaplanes that participated in the Schneider Trophy competions. 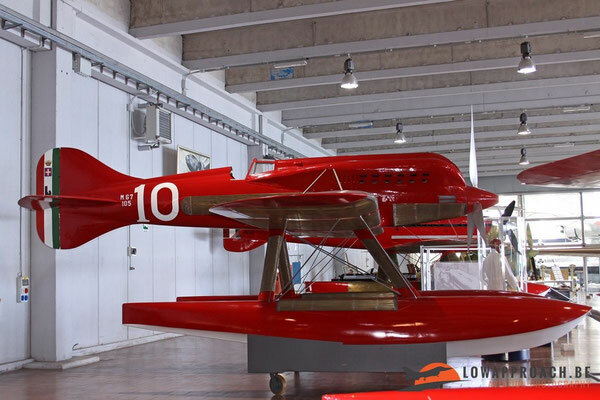 The Macchi M39 (winner in 1926), the Macchi M67 (participant in 1929) and the Macchi MC.72 (build for the 1931 competition, but it never participated due to engine problems). 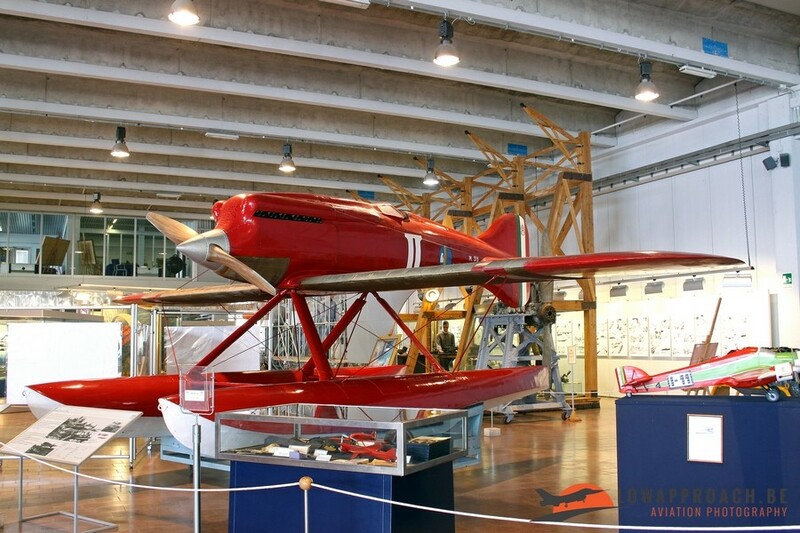 (1933), Macchi MC.200 'Saetta' (1937). Noteworthy is the Caproni-Campini CC.1 aircraft. 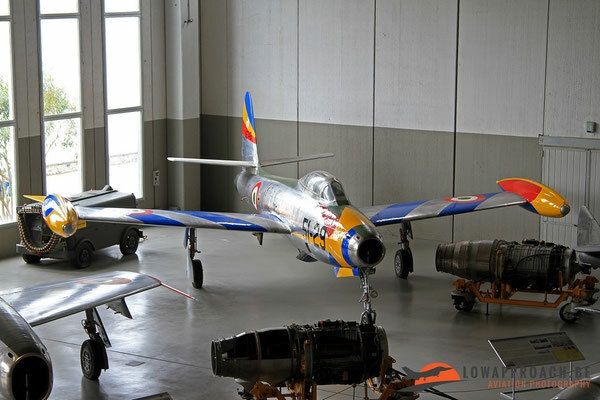 This experimental jet made his first flight in 1940, equipped with a jet engine, thus being one of the first jet aircraft in the world. 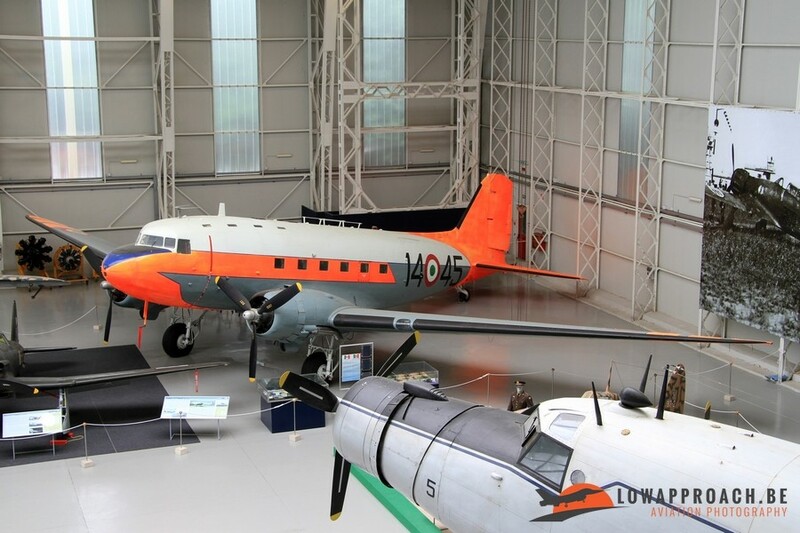 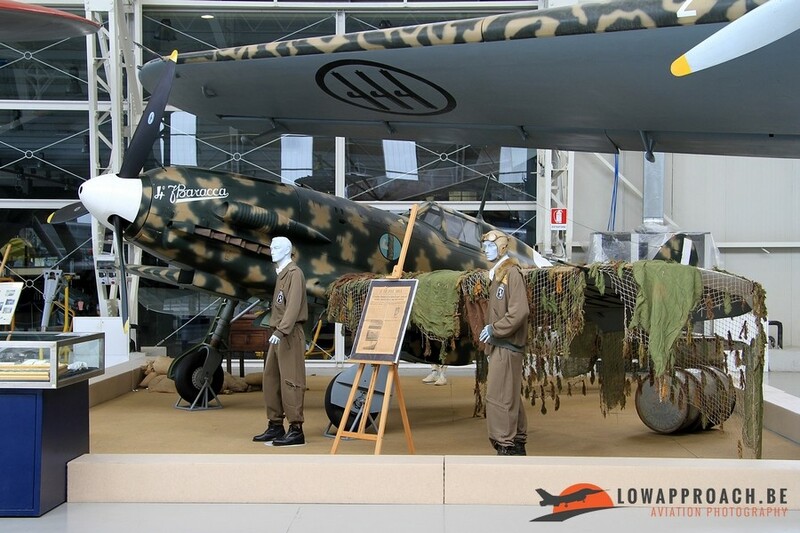 Next building of the museum is Hangar Badoni, which has a number of aircraft from the World War 2 era on display. 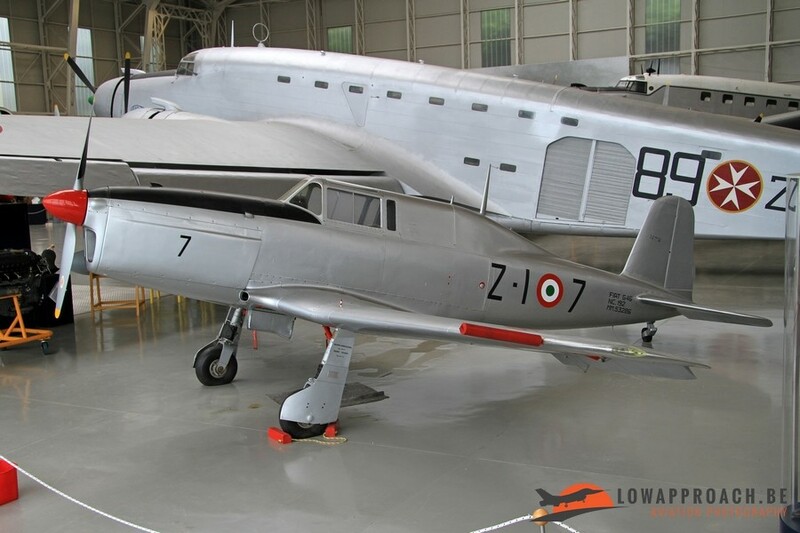 First series I want to mention a number of Italian build examples, like the CANT.Z506S 'Airone', which was developed in the 1930s. 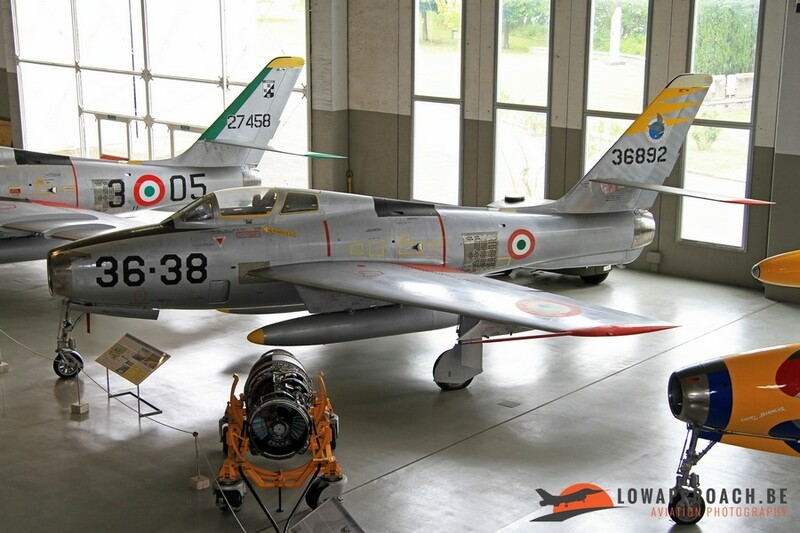 Many versions were build, but Z506S was used for the search and rescue role and remained operational at Vigna di Valle until 1960. 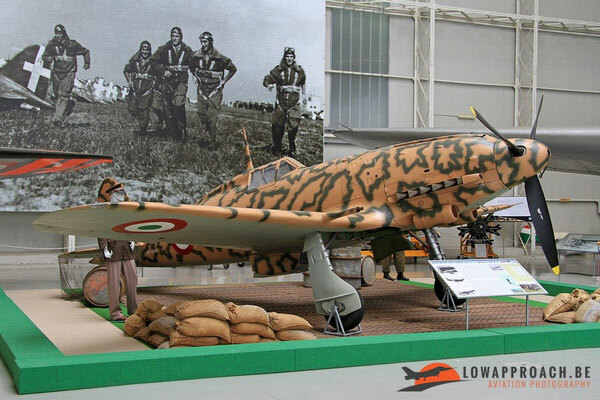 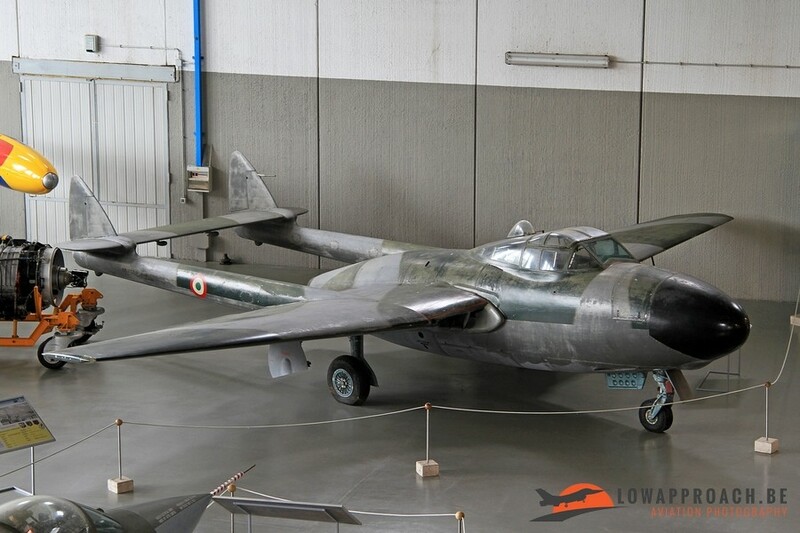 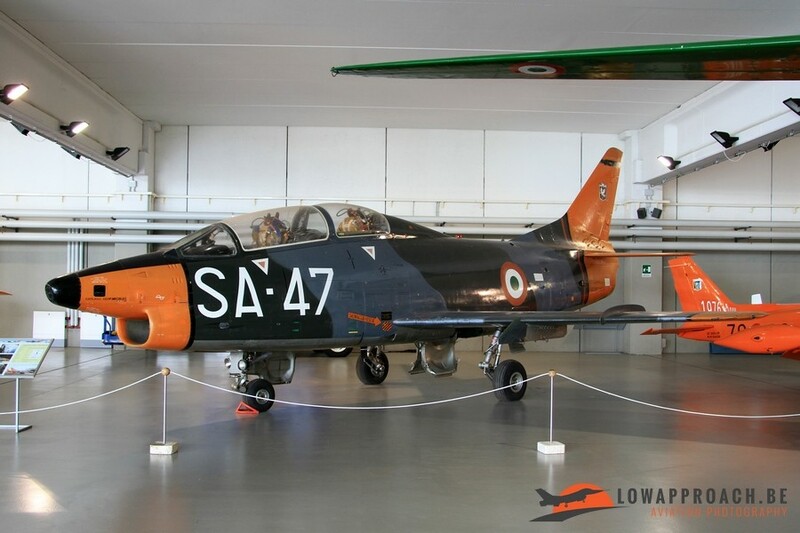 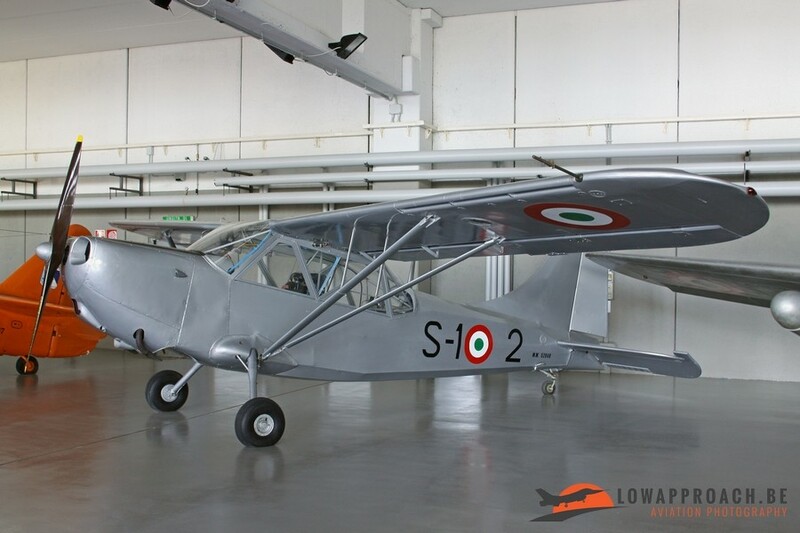 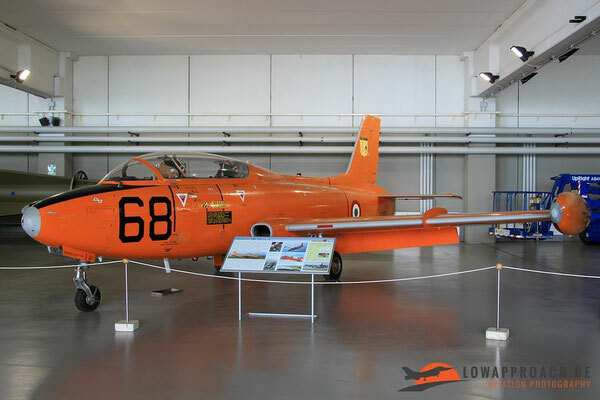 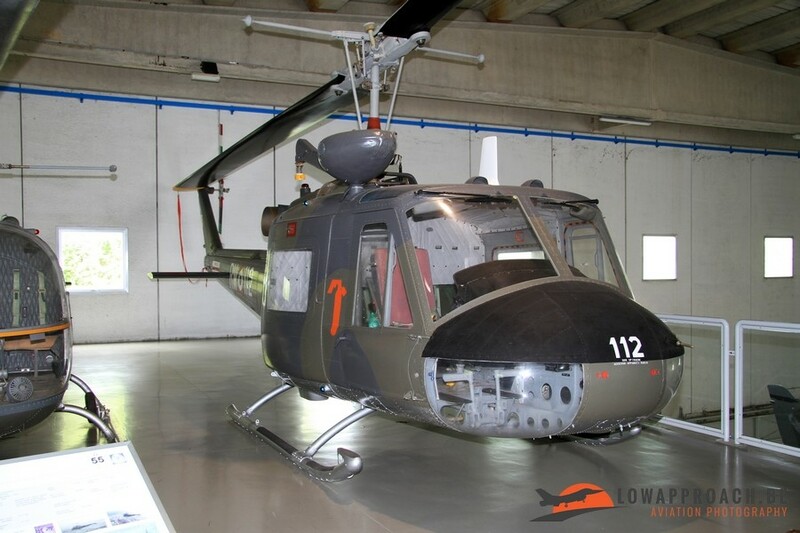 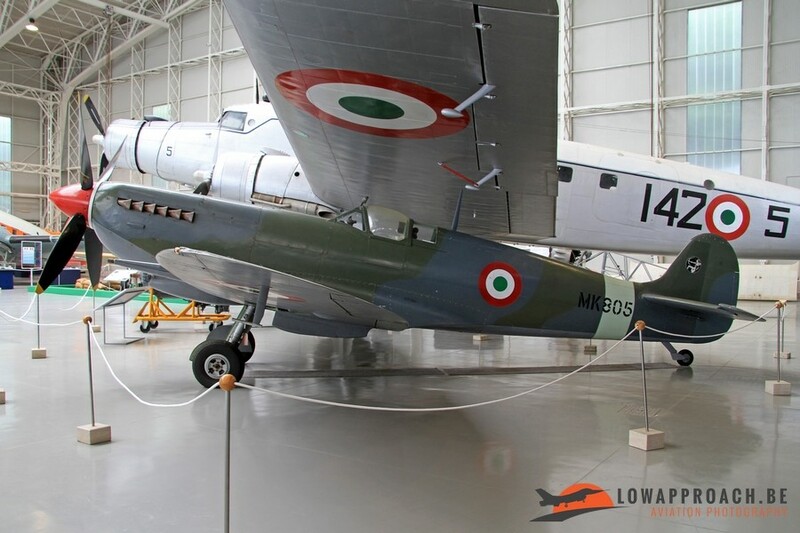 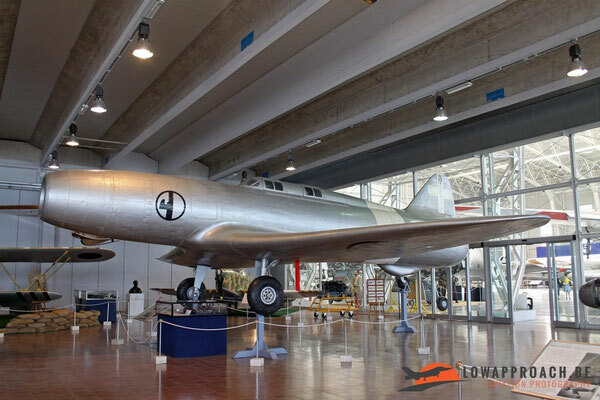 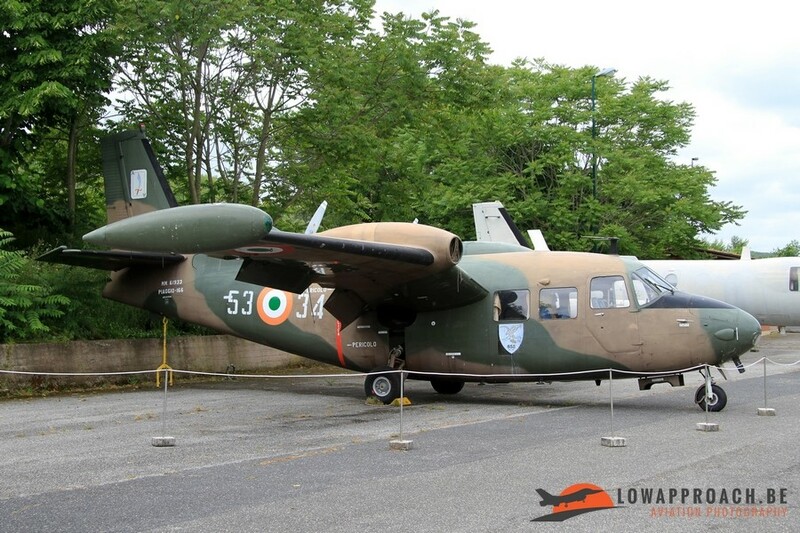 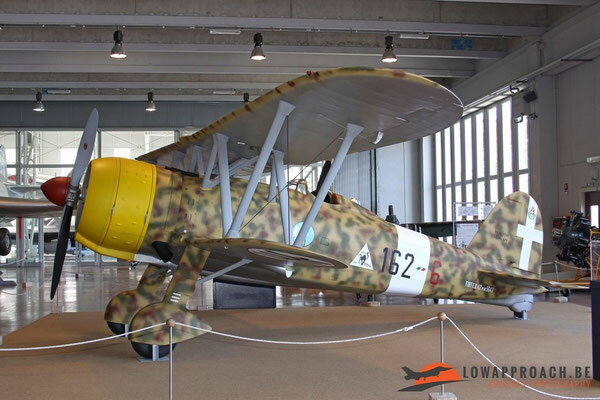 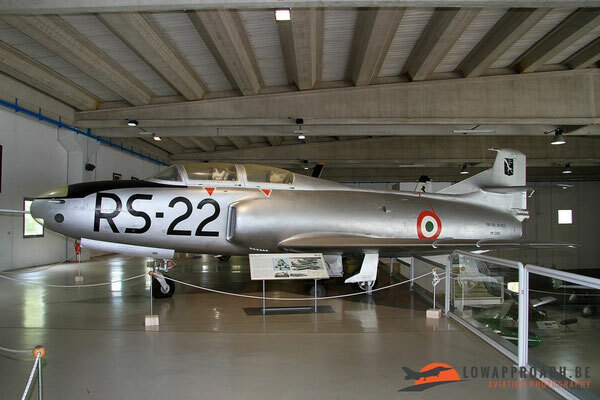 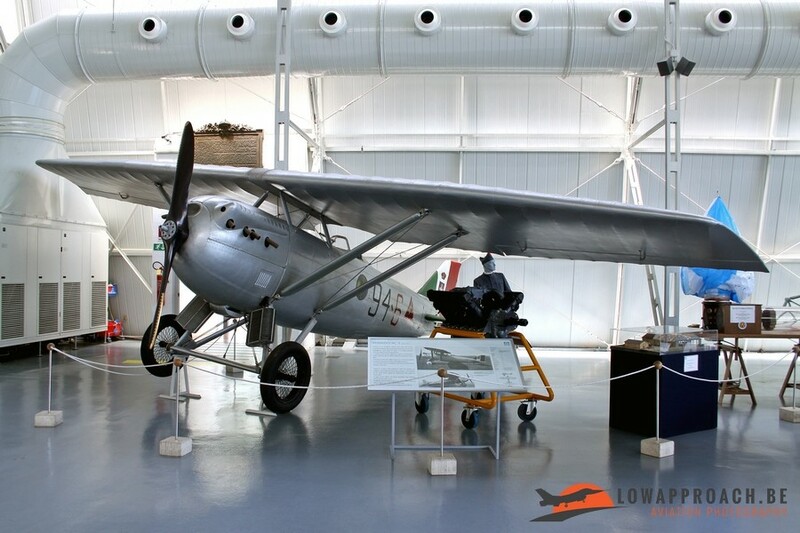 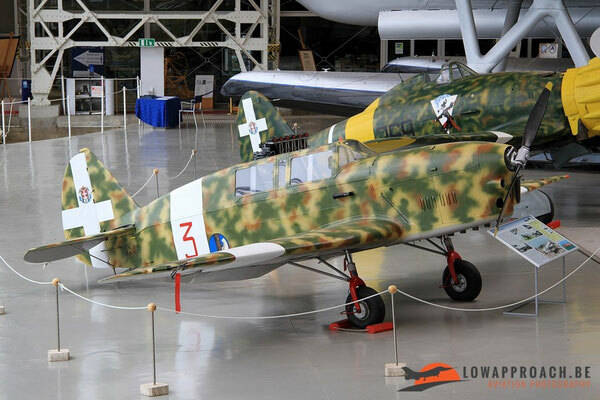 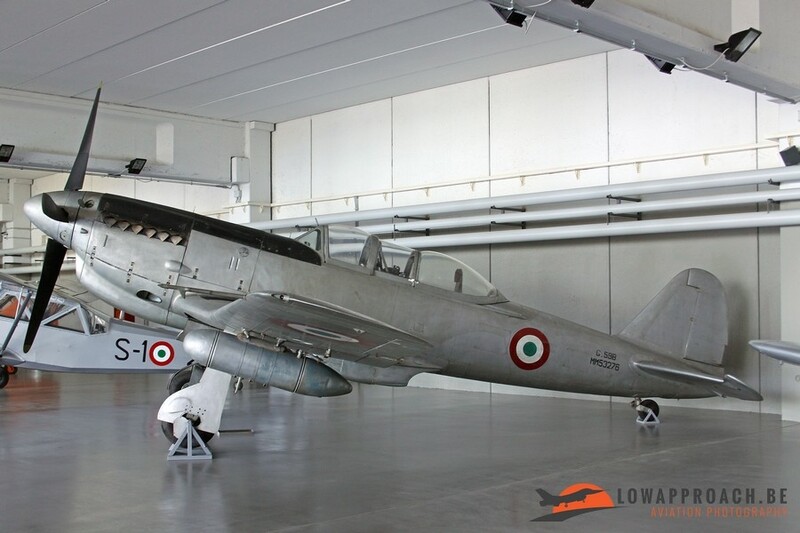 Another star exhibit is the Siai SM.79 'Sparviero'. 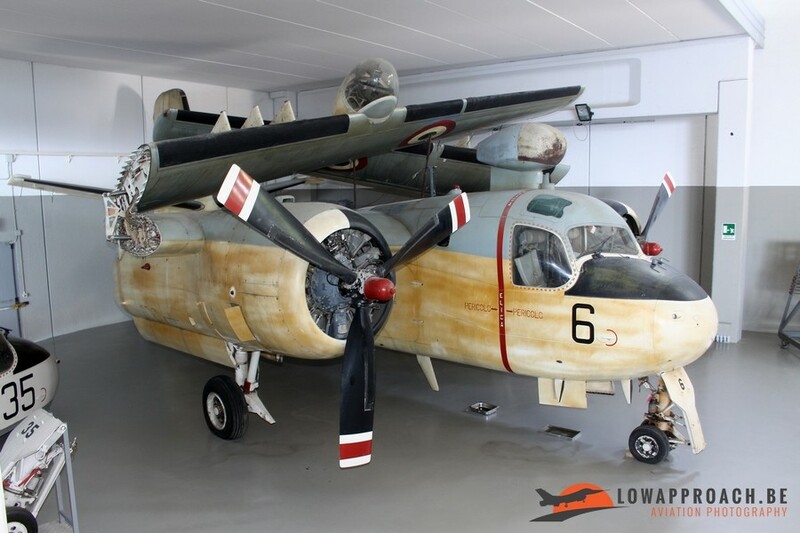 Derived from a commercial airliner it played an important role as a bomber and torpedo bomber during the war. 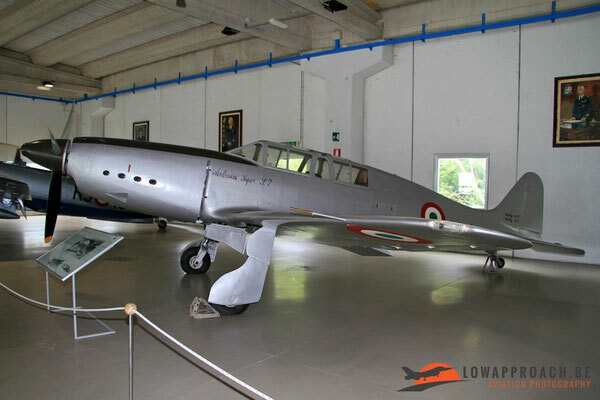 In addition this building shows a number of fighter and bomber aircraft designed and build in the early 1940s, like the Macchi MC.202 'Folgore' (1940), Fiat G.55 'Centauro' (1942), Macchi MC.205 'Veltro' (1942), Siai SM.82 'Marsupiale' (1939). 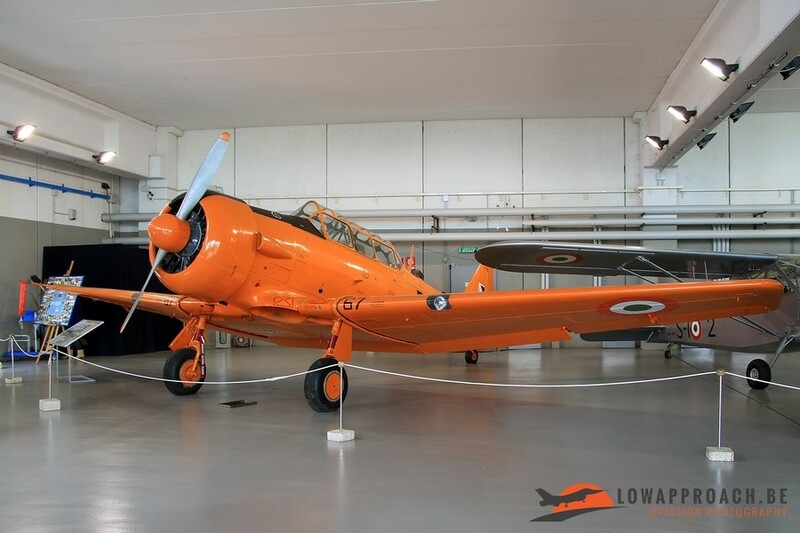 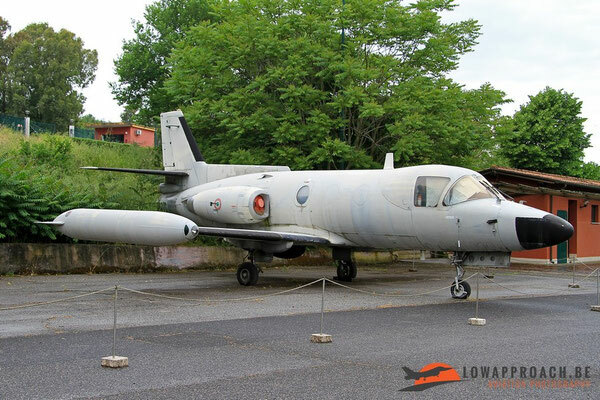 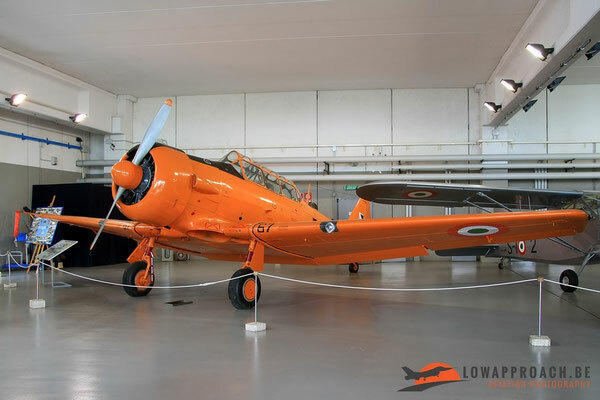 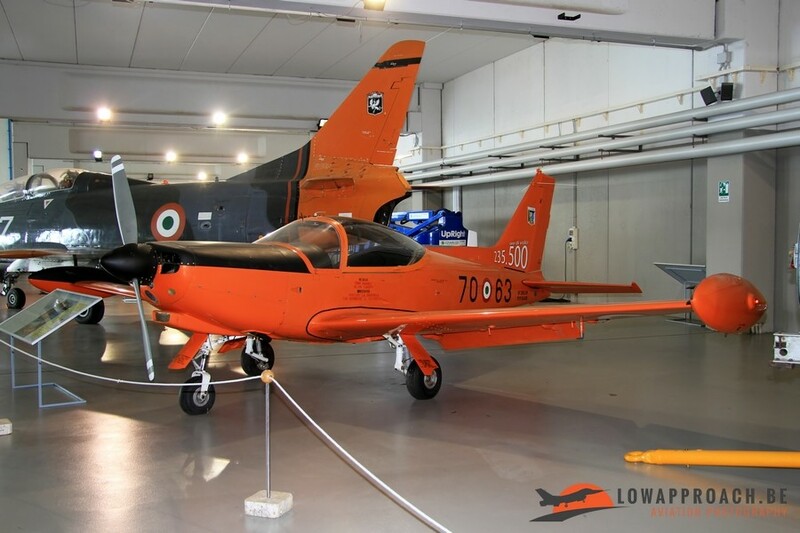 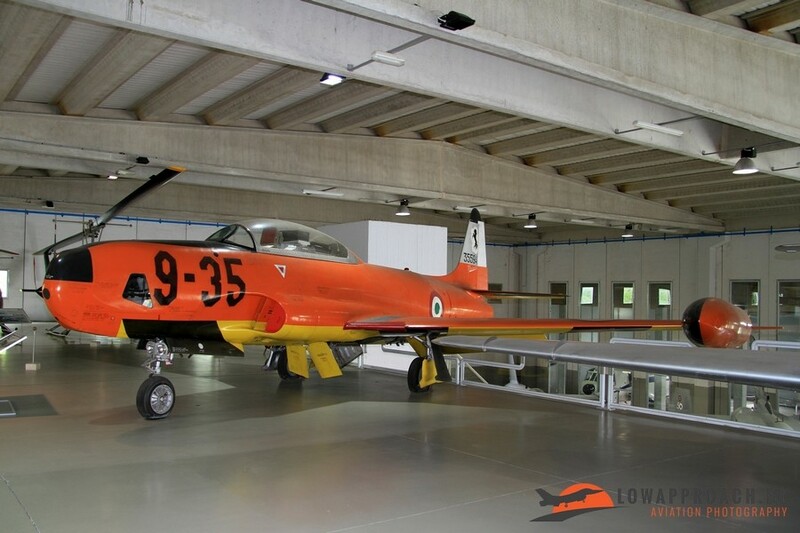 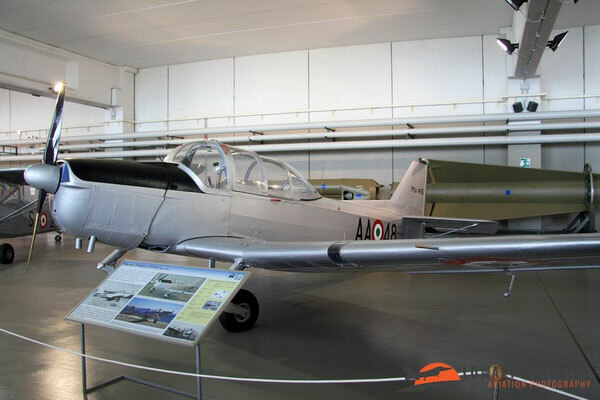 The museum is still on the lookout to expand their collection, which is clearly illustrated by two aircraft that are currently under restauration, a IMAM Ro37bis 'Lince' and a IMAM Ro41. 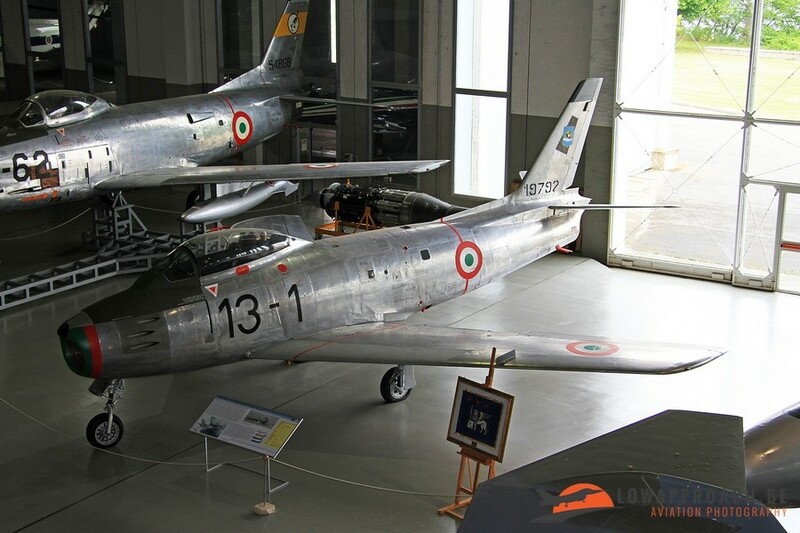 The Ro37bis was discovered in Afghanistan by Italian troops and was recovered to Italy for future restauration. 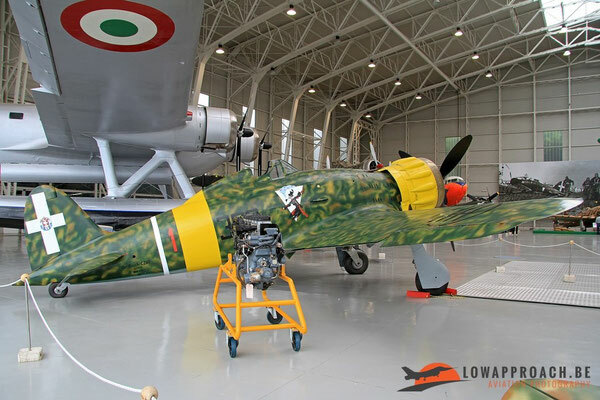 After the Second World War a large rebuilding programfor the Italian Air Force started. A procurement program started and many aircraft were acquired from various sources. In this period many surplus aircraft were offered for sale by the United States and the United Kingdom and off course many ended up in Italy. The exhibits from the post-war period are on display in hangar Skema and the recently opened 'Fiat G91' pavilion. 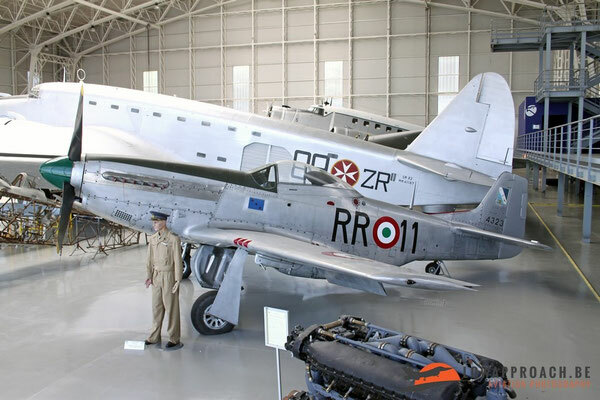 The United Kingdom supplied the Supermarine Spitfire and the United States supplied large quantities of the North American Texan, North American P51D Mustang, Douglas C47A Skytrain, Grumman HU16A Albatross, Grumman S2F Tracker and the Stinson L5 Sentinel. 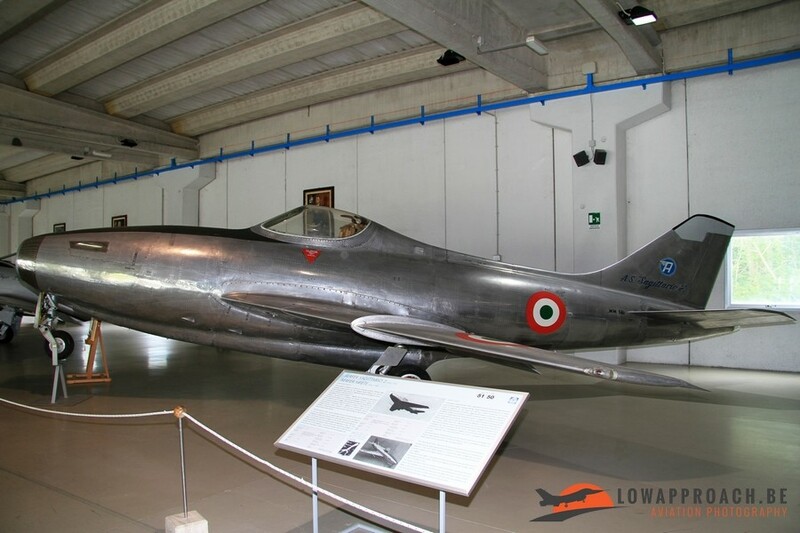 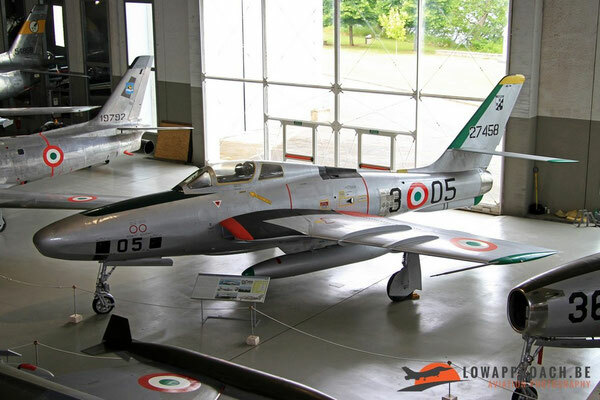 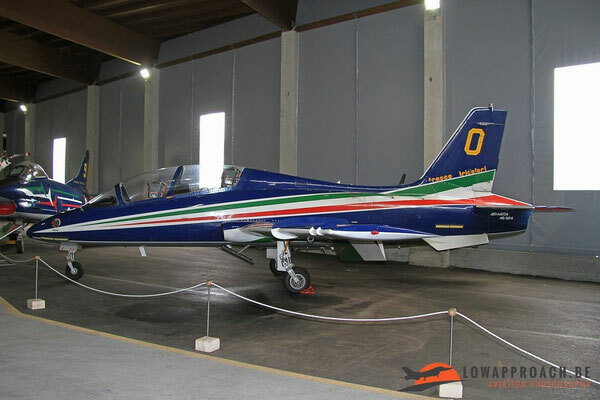 Italy entered the jet age with a number of locally designed fighter and training aircraft, like the Fiat G80-3B (1951), Aerfer Sagittario 2 (1955), Aerfer Ariete (1958) and the Piaggio PD808 (1964) . Unfortunately not all proved to be very successful and for these no series production started, but the prototypes were preserved. 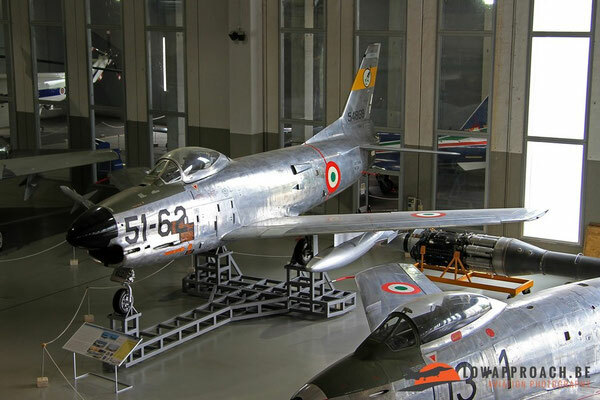 The Italian production capacity was too small to build large quantities of jet aircraft, so again Britain and the United States stepped-in to supply aircraft in sufficient quantities. Similar to other European countries the Italian Air Force was equipped with the De Havilland Vampire, Republic F84G Thunderjet, Republic F84F Thunderstreak, Republic RF84F Thunderflash, Canadair CL13 Sabre 4, North American F86K Sabre and Lockheed RT33A T-Bird. 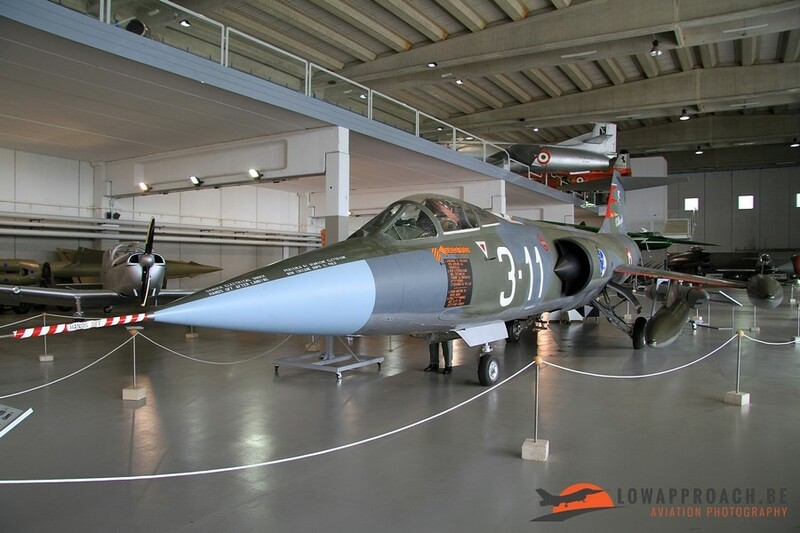 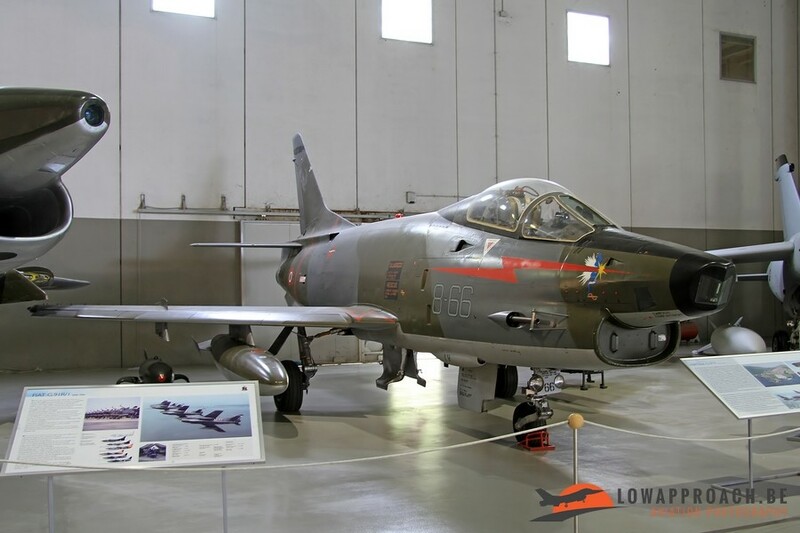 Force to fill the gap between the retirement of the Lockheed F104S Starfighter and the entry in service of the Eurofighter. 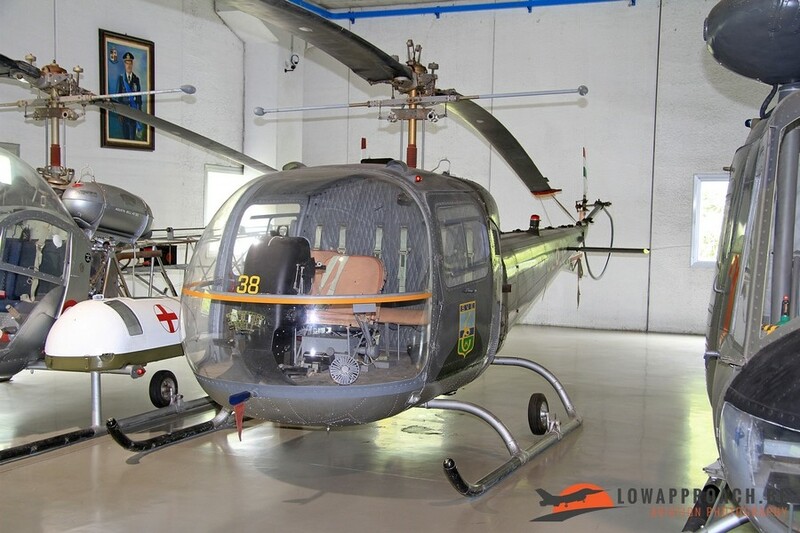 Also the fans of helicopters are off course not forgotten. On display are a series of helicopters (many of them build by Agusta) that were in service in the Aeronautica Militare Italiana in the post-war period. 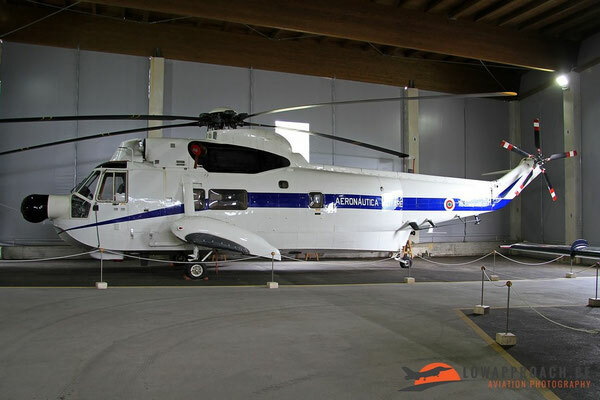 Visible are a Agusta-Bell AB47J and AB47G-2, a Agusta-Bell AB204 and a Sikorsky SH3DTS Sea King. 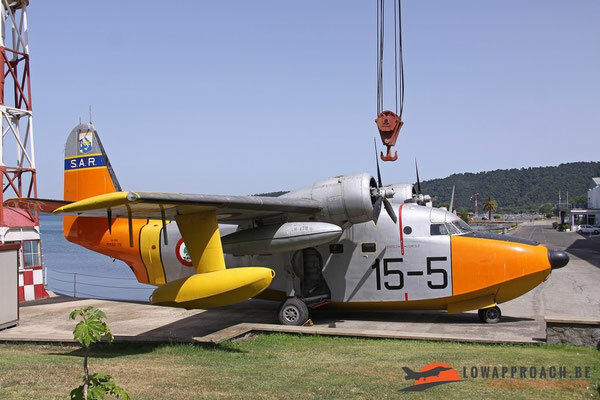 This last one is quite rare in Europe as it a US-built example. Visiting the museum is rather straightforward. 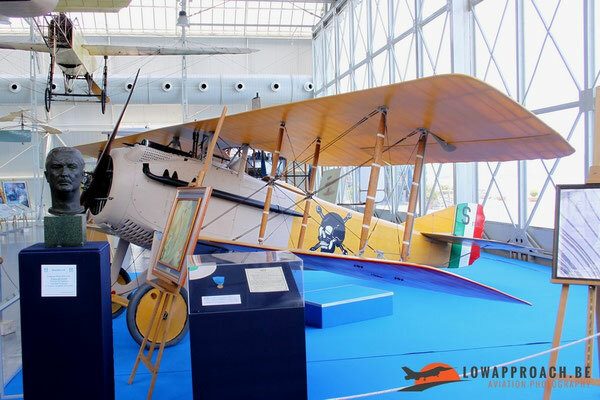 Vigna di Valle is about 30 km from Rome-Fiumicino Airport and is certainly worth a visit, as you can see many of the exhibits are unique in Europe and even the world. 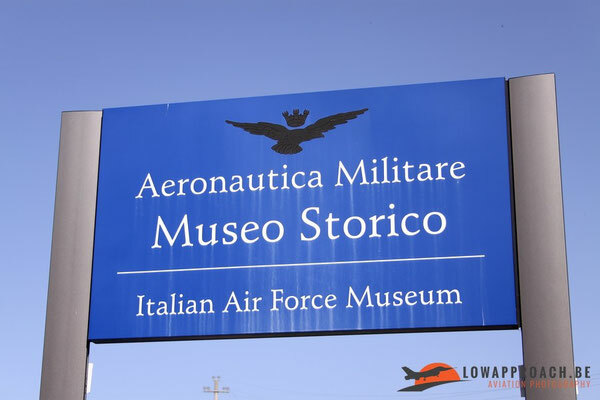 Entry is free of charge and photography is not a problem, usage of a mono- or tripod is allowed and also the use of a flash is permitted. 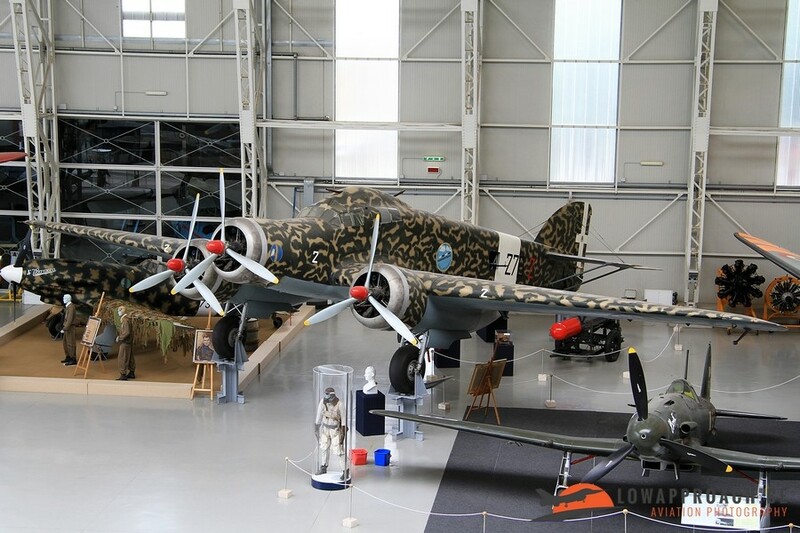 The exhibits are not too close to each other permitting some goods shots, although in some areas lighting can be improved. I visited the museum on two different occasions, the first time in 2009 and a second visit in 2014 and I will certainly visit the place again in a few years time.